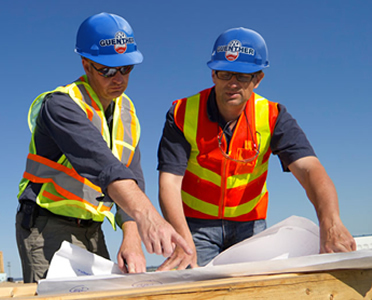 Guenther Mechanical Inc. is a Plumbing & HVAC contractor organized around Construction, Fabrication and Service. We operate on a merit-shop basis and take great pride in offering our customers the kind of quality workmanship that has become our trademark. We serve the North Central Ohio Commercial, Industrial and Institutional marketplace with over 50 years of experience. We have highly trained employees with multiple certifications including: Certified Welders, Medical Gas Piping, Natural Gas Fusion, and Backflow Prevention. We have an in-house state certified apprenticeship program that incorporates both classroom and on-the-job training. This is a 4-year program that allows each apprentice to become familiar with the Plumbing Code and teaches them the proper way to install each plumbing/pipe fitting system. This program ensures that our employees are properly trained and highly qualified. Safety is a concern on every job site, so we make sure that every employee is properly trained in OSHA guidelines. We have a safety director, who has OSHA 500-hour training, and regularly walks our job sites to correct any safety issues. Every employee has a minimum OSHA 10-hour training. Our site supervisors all have their OSHA 30-hour training. Guenther Mechanical is no stranger to LEED building and its industry standard for "Green" construction. The company has been an active participant in several LEED certified projects, including authoring and managing the Indoor Air Quality Plans for most of these projects. We have LEED AP's on staff as part of our management team that will ensure your building achieves its LEED certifications.